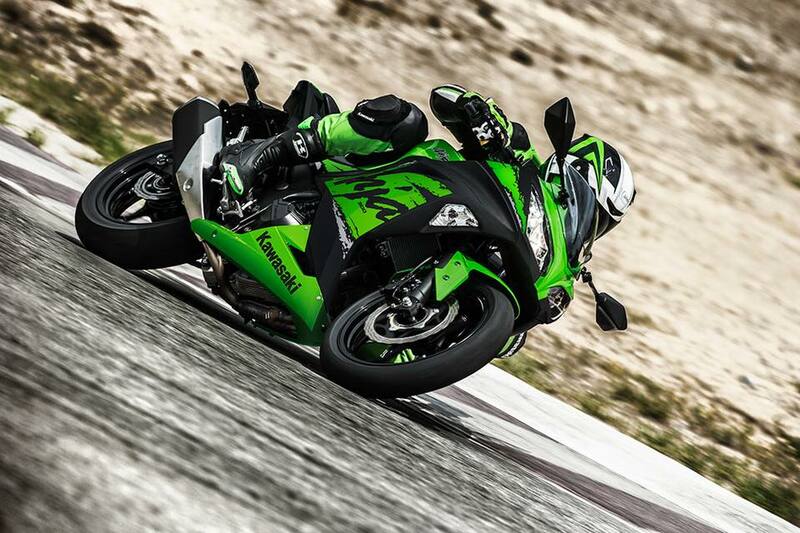 India Kawasaki re-launches the Ninja 300 in the Indian market with all the bells and whistles it omitted previously. The all new Ninja 300 comes with dual-channel (front and rear) Anti-Lock Braking System (ABS) along with new colours and graphics. As a part of India Kawasaki’s expansion plan the all-new Ninja 300 also gets locally produced parts further reducing the cost of ownership. The Ninja 300 comes equipped with the proven liquid-cooled strong parallel-twin cylinder, DOHC and 8 valves engine like other models of Ninja series. The new high-tensile steel frame adds to the chassis stability and the assist & slipper clutch, based on racing technology, acts as both a back-torque limiter and self-servo mechanism that enables a lighter clutch action. 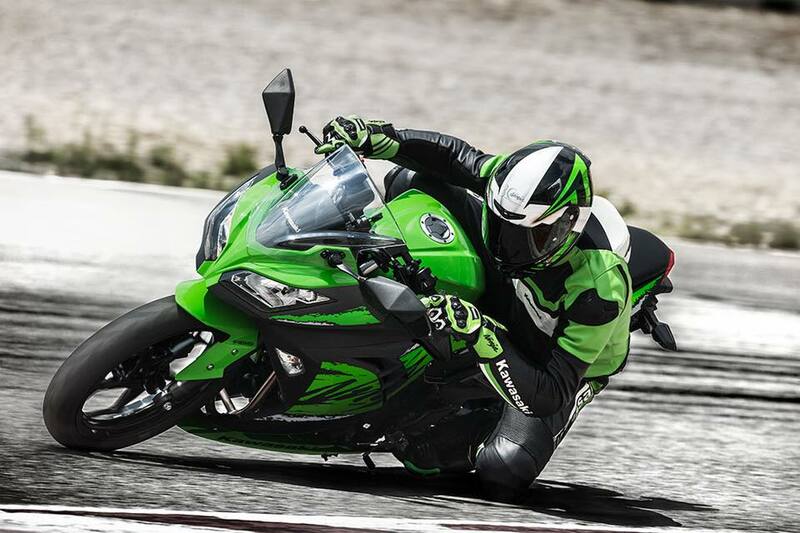 The dual headlights are inspired by the Ninja ZX-10R and wheel design is similar to the Ninja ZX-14R which gives the Ninja 300 an aggressive stance, further indicates that the styling package is directly related its bigger siblings. 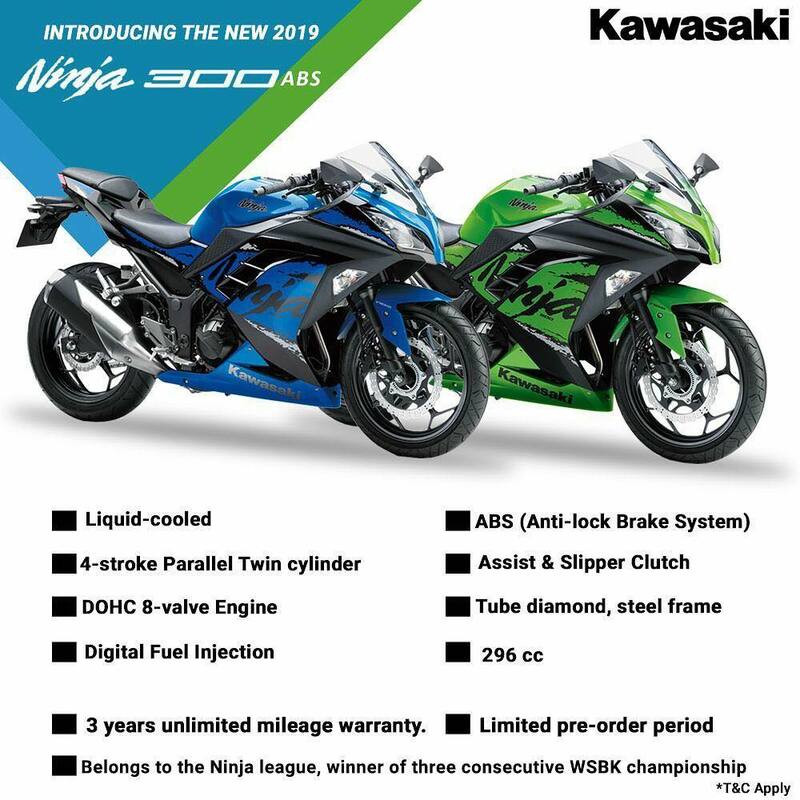 Now the all new Ninja 300 ABS is available in two colour options namely; lime green/ebony and candy plasma blue. The price of the all new Ninja 300 with ABS is INR 298,000 ex-showroom Delhi. 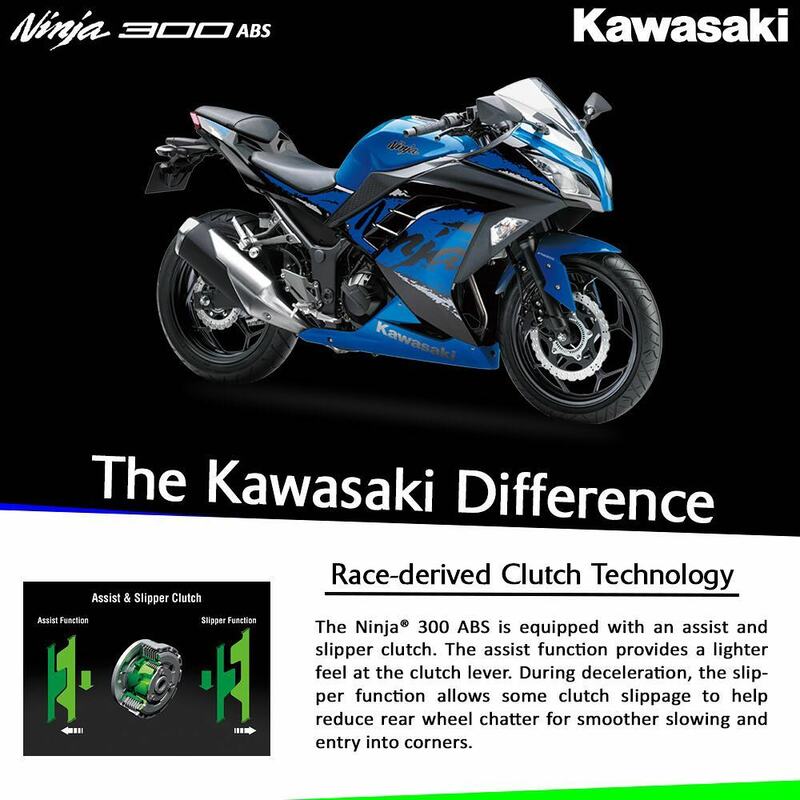 Customers who pre-book will be given “3 years of unlimited mileage warranty offer” on the all new Ninja 300 ABS. This offer will be discontinued without any prior intimation in order to give a worthy benefit to early birds. The bookings are open and customers can visit their nearest showroom for booking.